Everyday, millions of people wear contact lenses to help them see clearly. 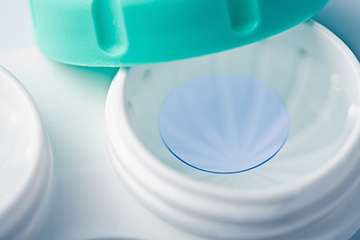 There have been numerous advancements in both lens materials and designs, allowing most individuals to wear new types of contact lenses successfully. As a result, there are more types of contact lenses and choices available than in the past. If you have worn contact lenses in the past but discontinued use due to discomfort or unacceptable visual results, it may be time to revisit your options. At Insight Eyecare Center, we will help you select the best option for you based on the health and shape of your eyes, the type of correction you require, your previous contact lens experience, your tear production and your lifestyle.